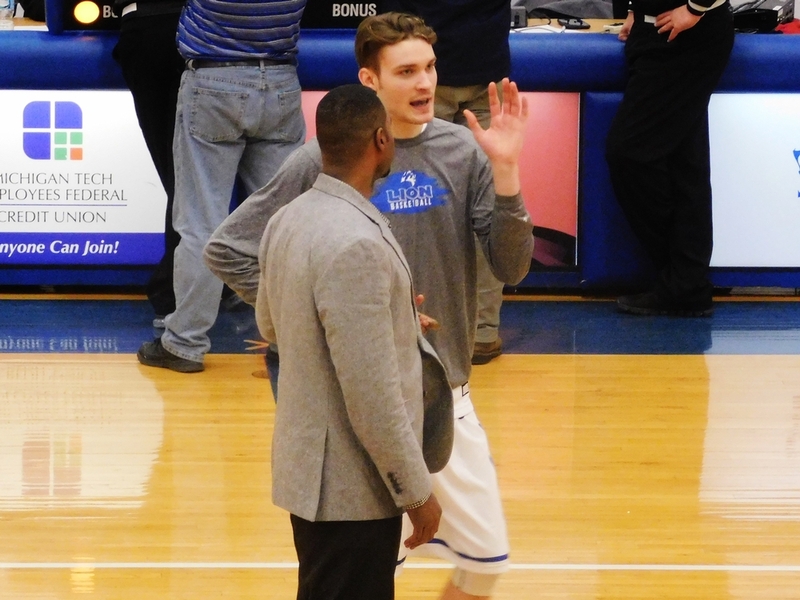 HOUGHTON---The Bay Collge Norse men's basketball team got a little payback on Saturday as they beat the Finlandia University Lions, 96-76, in the Copper Country. The win was the complete opposite of an earlier meeting between the two teams that Finlandia won in Escanaba, also by a 20-point margin. 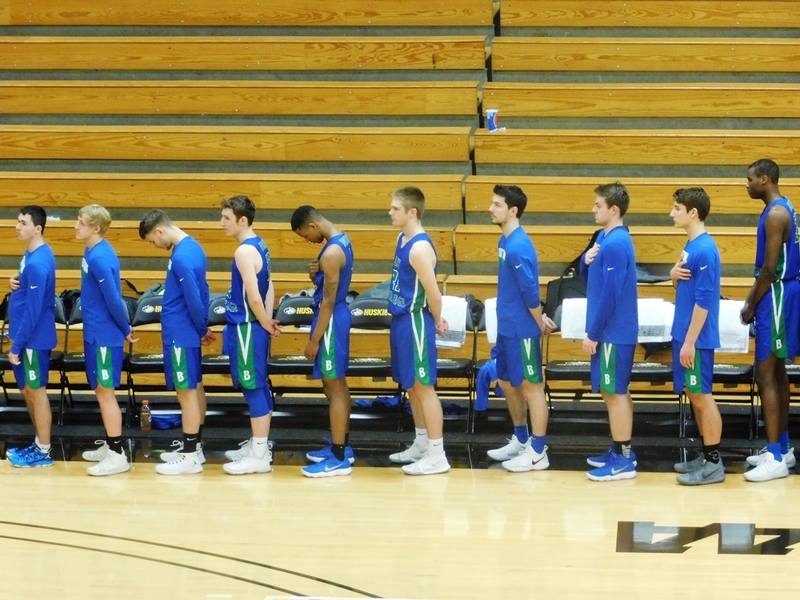 It marked the end of a very long and difficult day for the Norse team, which boarded the bus at 9:30 Saturday morning and because of several different things, weren't going to get home until after midnight. First, US-41 was closed all day because of a fatal traffic accident in Chassell, which forced the team to take a detour onto small roads through the Keweenaw Peninsula. 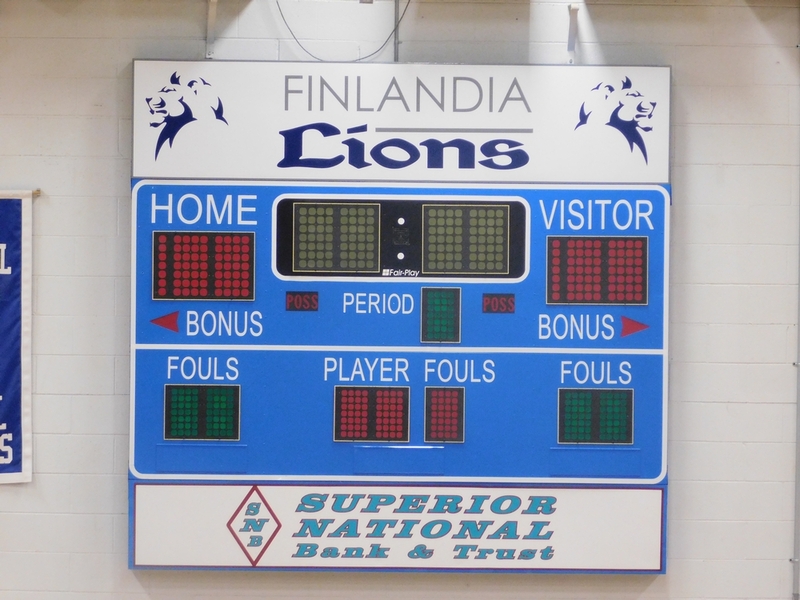 Then, once the Norse reached Finlandia's campus in Hancock for their 3:00 game, they found that the scoreboards did not work. After waiting for two hours, it was decided to move the game to Michigan Tech University's campus in Houghton, for a 6 pm start. 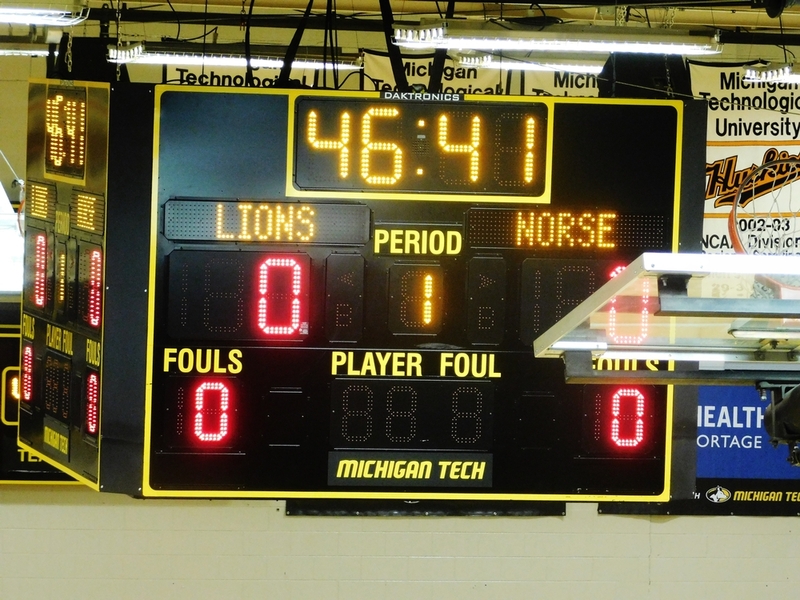 The Norse and Lions had to warm up again, and it was "game on". Bay got off to a striong start, taking a 16-7 lead five minutes into the game. 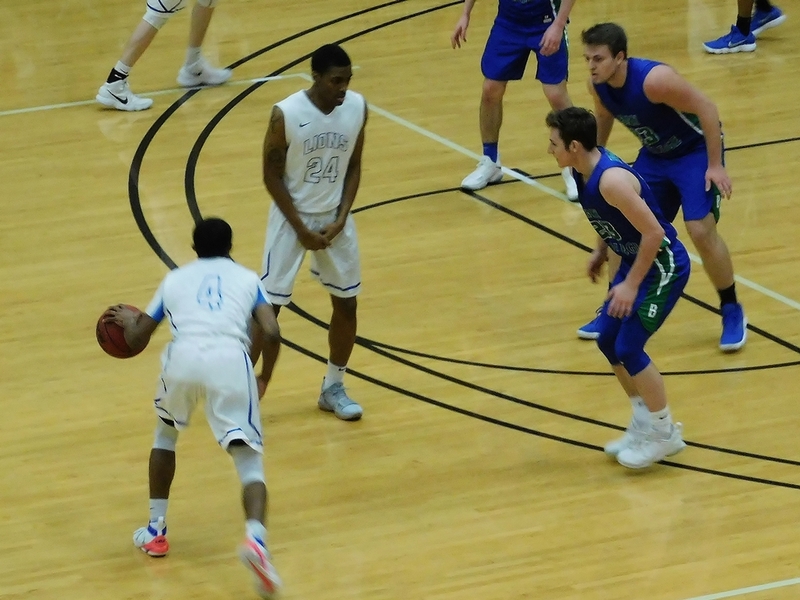 Finlandia's Geoff Smart made a pair of triples to bring his team to within 16-14, but after an Alfonzo Fields steal and lay-up, Bay College had a double-digit lead at 25-15. 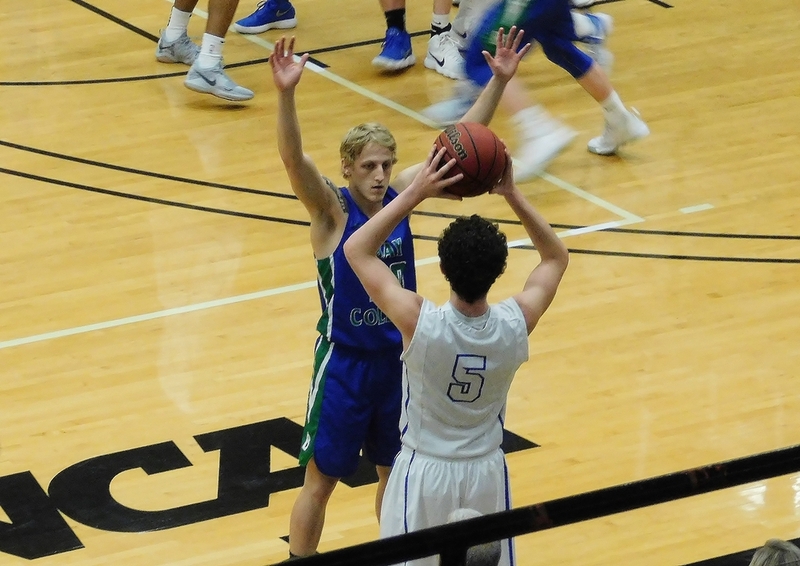 Baskets in the paint by Tyler Willette and Kobi Barnes expanded the lead to 31-18, but Escanaba native Brandon Robinette got going for Finlandia. 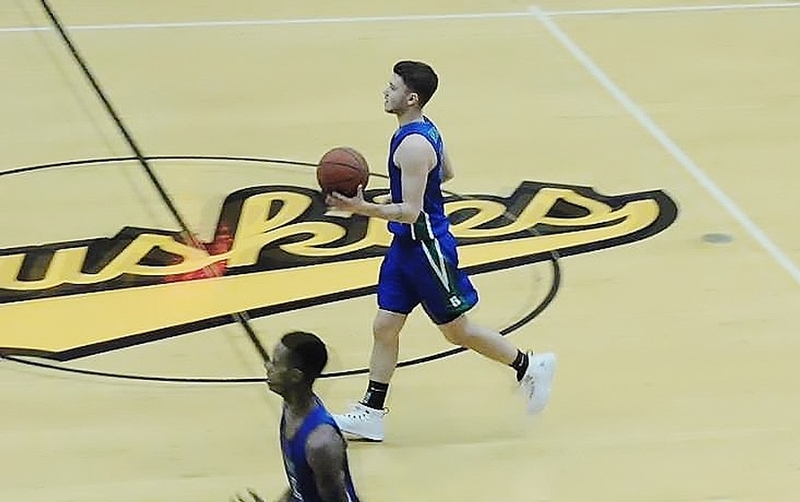 He scored eight points, and Smart, a Kingsford native, hit two more triples, to cut the Norse lead to 39-35. That was the halftime score, and Finlandia tied the fame at 40-40 early in the second half. That's when Dre Tuominen took over, scoring 22 of his game-high 27 points, including a pair of triples. Garrett Finkbeiner came off the bench to drain a triple, making it 52-45 with 15:50 left in the game. 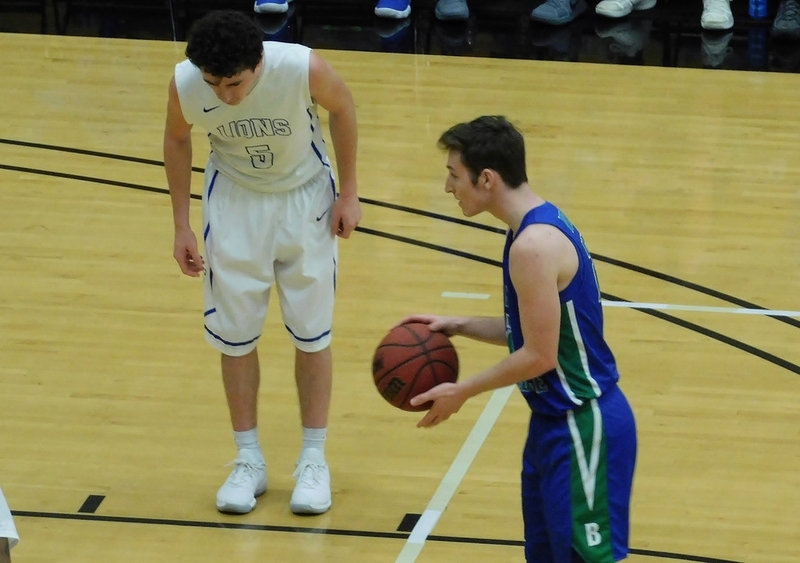 The Lions were able to stay within five at 78-73 with 4:35 left in the game before the Norse ramped up the defense, holding the Lions to just three more points the rest of the game. 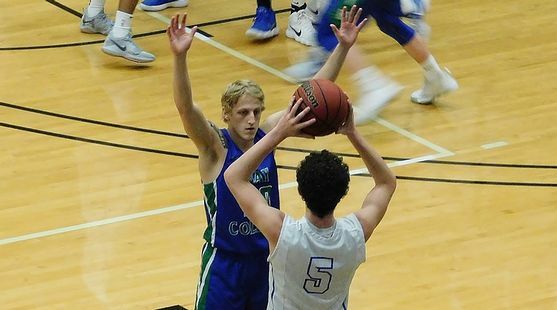 Bay College ended the game on an 18-3 run. Hunter Schultz came off the bench to play strong defense and force a pair of turnovers in the second half. Damian Richmond also played well off the bench, scoring five points and grabbing a pair of rebounds during two Norse offensive spurts. Tuominen led the Norse with 27 points, while Barnes had 22 points for a second straight game. Fields added 17 points to go along with his strong defense. Finlandia fell to 4-14, mostly against schools much larger than Bay, and the Lions have played the majority of their games on the road. Smart led the way with 16 points, while Robinette and Ellington both added 15 points. The Norse improved to 15-7 on the season, and clinched a winning record with seven games left on the schedule. Bay will try to get revenge against another team on Wednesday when the Norse travel to Marinette, Wis., to face UW-Marinette. 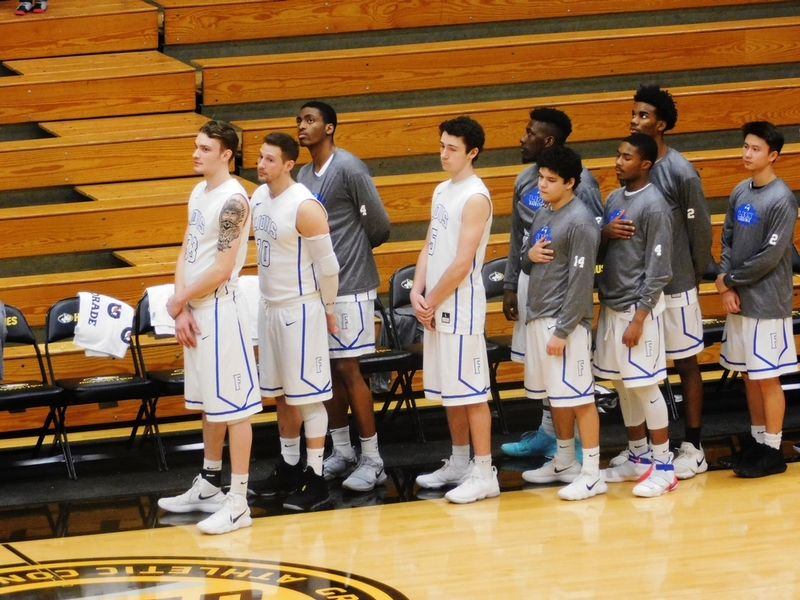 The Bucs beat the Norse in the program's first-ever game in Escanaba in overtime on Nov. 1. 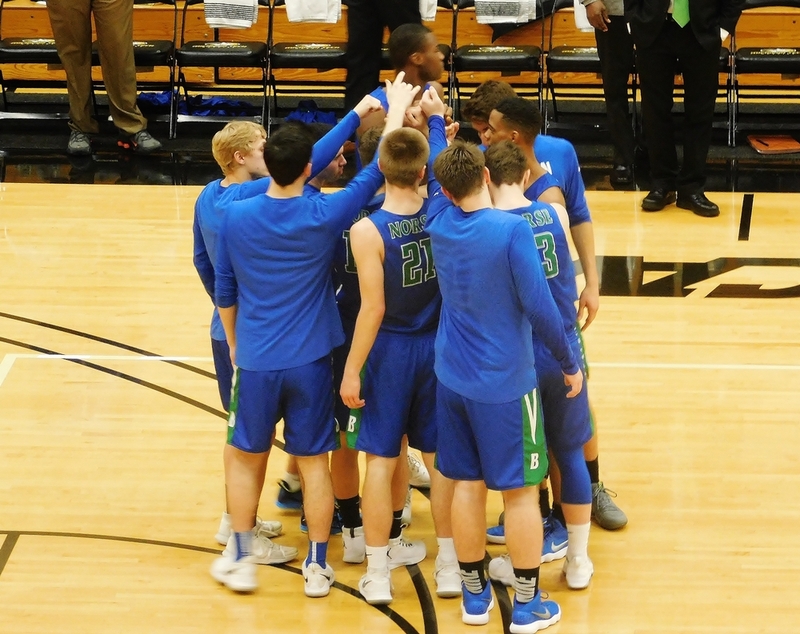 Click the thumbnails in the ARTICLE HIGHLIGHTS box above to see videos and photos, and to hear interviews with Alfonzo Fields, Dre Tuominen, and Coach Matt Johnson.